Whether it's an inland excursion along the Waccamaw River and coastal inlets or an offshore journey into the sparkling Atlantic Ocean, Pawleys Island and the surrounding south strand area offers several great boat tours that are a fantastic way to spend the day on your Pawleys Island vacation! From swashbuckling adventures aboard a pirate ship to laid-back beer tasting cruises, here's a sampling of some of the aquatic experiences available during your trip to Pawleys Island. Landlubbers of all ages can get a taste of the pirate's life with a tour from Pirate Adventures! You and your crew will board the Sea Gypsy and set sail for excitement and in search of buried treasure out in the waters of Murrells Inlet. A quick explanation of the pirate code will have you seaworthy in no time. But keep your guard up because other pirates are also on the prowl, and encountering them means taking part in an explosive cannon battle out on the water! If you're celebrating a special occasion Pirates Adventures tours can be booked for birthday parties or other special events and are sure to be a hit with kids. Looking for a laid-back inlet cruise with you and up to fourteen of your friends or family members? The East Coast BrewBoat is perfect for you! This unique experience puts you in charge of your tour. The BrewBoat is actually powered by cycle stations around a central bar area that you and your patrons team up on to propel the craft through the scenic waterscapes of Murrells Inlet. The craft also features an electric engine for those times when your guests aren't in the mood to pedal. Each cruise lasts about an hour and you're able to bring your own beer or wine, food and music to enjoy during your trip. If an offshore excursion is what you're looking for, one of the best options around is available at Express Watersports! Their ocean sightseeing and dolphin cruise takes up to 49 passengers out into the Atlantic in search of scenic views and pods of dolphins, sea turtles and other ocean wildlife. The crew of the Express Watersports vessels have years of experience and partner with other vessels in the area to make sure each group that goes out gets an amazing up-close experience with dolphins and other aquatic creatures. Express Watersports also offers a relaxing sunset cruise that offers the best sunset views available along the Grand Strand. With even more offshore, inlet and river tours available than these, there's no limit to the ways you can explore the ocean and lowcountry wetlands during your trip to Pawleys Island! Our Pawleys Island vacation rentals available at Litchfield Beach and Golf Resort, True Blue Resort and Pawleys Plantation Resort are sure to delight you on your next trip to this special area. 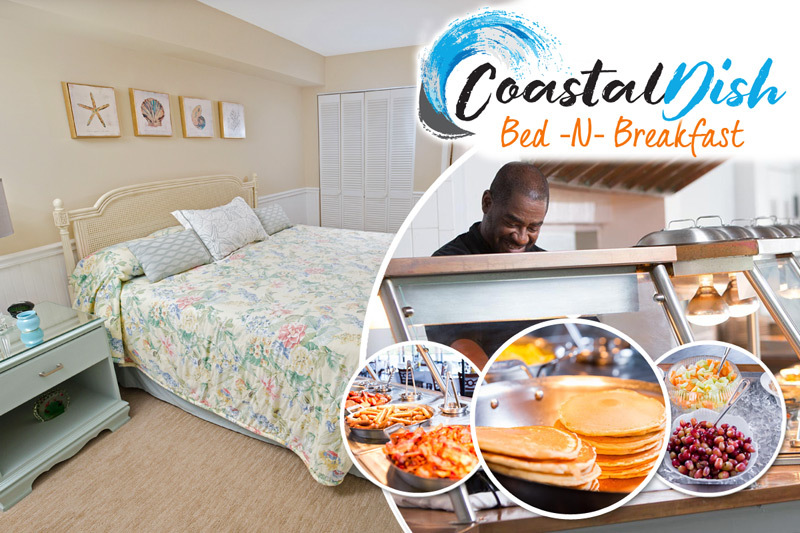 Book your trip to Pawleys Island with one of our partner properties and get an first-class vacation at an unbeatable price!